Putting a fraud action plan together is the first thing you need to do upon discovery of an identity fraud. The plan will be your road map to fraud identification, damage assessment, and correction of the charges and your credit report. The fraud action plan should include all that you need to and can do based on the information provided on this site. 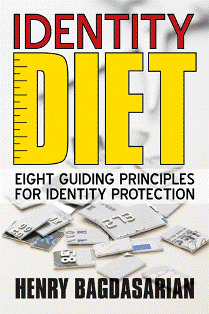 It's easy to feel overwhelmed but remain calm because there are identity theft solutions. The results of your efforts will depend on your specific cases as well as how quickly you discover the fraud and start executing your action plan. The Federal Trade Commission (FTC) takes these crimes very seriously. The financial institutions are well aware of the seriousness and growth of this crime. You are neither the first identity theft victim nor will be the last one. I've been there and so have over 27 million people. Just don't panic and you will be fine at the end. There are also laws to protect you, however, act decisively and quickly. I say this for a few reasons but mainly because your fraud liability under the Electronic Fund Transfer Act or EFTA for all electronic banking transactions (ATM and debit cards) is limited to $50 only when you notify the financial institution within 2 days. From day 3 to day 60, your liability may be increased to $500, and after day 60, you may be liable for all charges. You have more protection under the Fair Credit Billing Act or FCBA when you use your credit cards. Read about plus and minuses of using a debit or credit card. An identity theft action plan is a “to do” list, but also a tool to document the results of your actions. For example, depending on your specific case, you may have to contact the credit card company, or get a copy of your credit report, and report your case to the authorities. Most of the actions that may relate to your case can be taken straight out of the identity victim section. During the course of your investigation, discussions and communications with the various entities and individuals, make sure you document the name of the company and the individual you speak with, their phone number or address you contacted, the date you contacted them, and any comments or agreements that were made during your discussions. In the case of identity theft reports to the authorities, make sure you keep and document your report number. The 3 main entities that you must at a minimum contact and include in your fraud action plan are 1) the creditor, 2) law enforcement agencies, and 3) credit reporting agencies. As I said, prompt communication is key to stop the fraud immediately, and resolve the outstanding unauthorized transactions. In all fraud cases, you should contact the creditor first to end the fraud, and then others to further protect yourself. Go back to the identity theft victim page to start putting your fraud action plan together.